To have your wedding ceremony at a beautiful church is a great start to your married life. 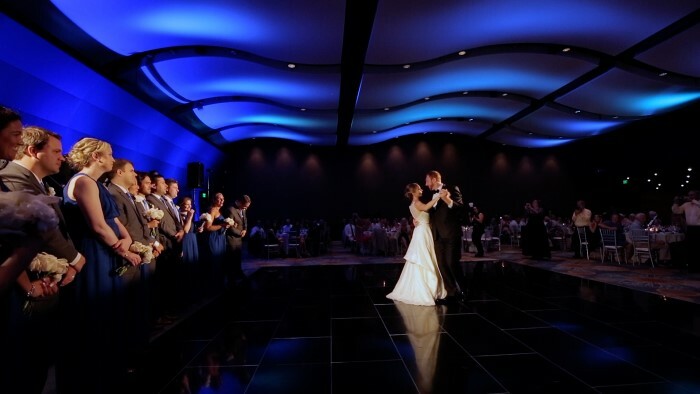 To have your reception at the beautiful Georgia Aquarium with nearly 300 of your closest friends and family really takes things to a whole new level! I think the best part of creating a Georgia Aquarium wedding video is being able to shoot in and around the aquarium after their closing time. It’s an opportunity to capture the couple with some amazing backdrops. A special thank you goes to Alecia Lauren and Nicole Griffin for being great to work with the whole day. Enjoy Christina and Bert’s Georgia Aquarium “coming soon” wedding video!